Masala Bay Indian Takeaway opened in 2003. It swiftly established itself in the local area as one of the leading takeaways, with quality food and good service. The Masala Bay is a energetic and experienced team and in 2013 it celebrated it’s 10 year anniversary with huge success. Amad Uddin – Co-Owner & Manager. 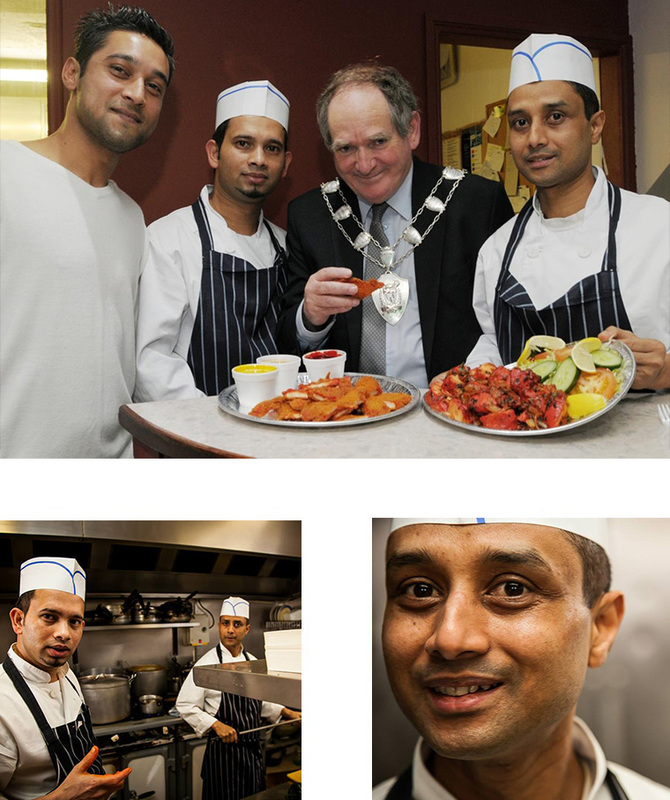 In 2013 Masala Bay was crowned Takeaway of the Year by the English Curry Awards. “This is one of our highest achievements. Nominated by our customers, we passed an anonymous taste test by judges and beat off some of the toughest competition to become the best in South East of England” Zahid Rahman – Co-Owner. “We feel the secret to our success is that we a very strong team focused on food that gives customers the ultimate taste experiences. The other main factor is we have staff that have been with us for many years, in an industry renowned for high staff turnover. We look after our staff well and pay over the industry average. Our head chef has been with from day one, since 2003. Finally we feel working with and being a part of the community is crucial. We have embraced social media and now have greater communication with our customers. We regularly support our community and most recently agreed to sponsor local football club Jadon Blues FC.” Zahid Rahman – Co-Owner. “Masala Bay is always committed to producing quality dishes with the best ingredients. Apart from the traditional popular dishes like Chicken Tikka Masala, customers are becoming more adventurous and are always seeking out new and exciting flavours. We try and add new dishes on a regular basis, the most popular dish at the moment is the Haryali served either with Chicken or Lamb, it is a spicy and hot dish, flavour packed and aromatic, designed to tickle all the senses.” Bodrul Islam – Head Chef.